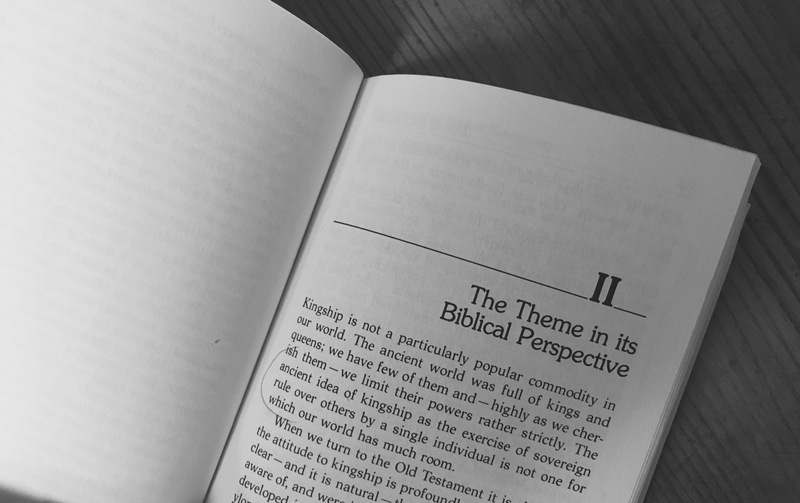 The middle section of Lesslie Newbigin’s 1981 book Sign of the Kingdom is entitled, “The Theme in its Biblical Perspective”. There is too much material to summarize it all, so we will focus this post on two of the corrections which Newbigin offers; to (1) our tendency to equate Kingdom with our own political ambitions; and (2) to equate it with church growth. Both of these result in us trying to bring or build the kingdom by our own efforts, rather than relying on God. Both points of correction are required because we have shifted away from “the language of the Bible, which always points to the personal presence and action of God … into language which points to programmes of our own” (35). Newbigin doesn’t excuse Christians from the necessity for action for justice in economic and political affairs but, to find our Biblical mandate, he asks that first “the Gospel story be interpreted by means of its actual background and presuppositions” (30). One reason was that “The biblical language [had] been for so long interpreted in a purely private and pietistic sense divorced from the realities and the obligations of political life” (36). This, in turn, led the church to put their faith in the ideologies of the time, as seen in the quotation which opens this post; Jesus may be the saviour of the soul, but progressive capitalism was the saviour of the real world. From there, “the introduction of the name of Jesus [was] seen as something divisive and sectarian, while the message of kingdom was seen as all-inclusive” (32). The Lord Jesus continues, “…But you shall receive power when the Holy Spirit has come upon you; and you shall be my witnesses…”. This, Newbigin reminds us, is not a command, but a promise! “Witness is not a burden laid upon the Church. It is not part of the law. It is gospel, gift, promise. We misinterpret the whole thrust of the new Testament when we convert this into a law, a burden laid upon the consciences of Christians.